Spain says striker David Villa is doubtful for its World Cup qualifier against Liechtenstein on Tuesday after injuring a muscle during training. Villa’s injury occurred on Sunday, a day after Spain beat Italy 3-0 to take the lead of their qualifying group. 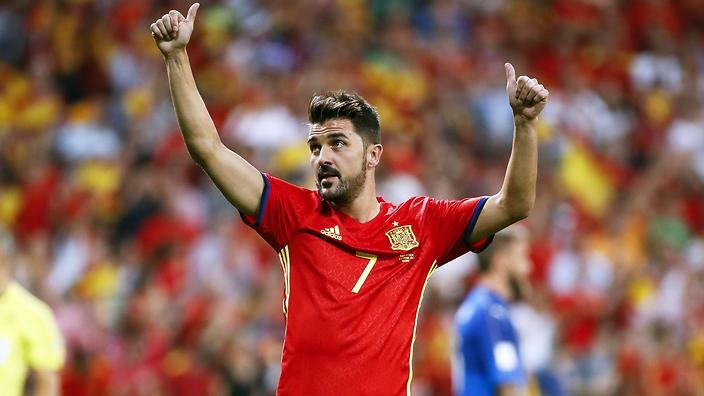 Villa played the final two minutes of the match against Italy, his first after a three-year absence from Spain’s team. The 35-year-old Villa is Spain’s all-time leading scorer with 59 goals in 98 matches. He plays for club New York City FC.